First navigation app I install when setting up a new phone. O aplicativo é visualmente muito bonito, fácil encontrar trilhas novas mesmo de pessoas que você não segue. Porém você não consegue filtrar as trilhas por tipo exemplo se você quiser fazer uma trilha de jipe terá que percorrer uma lista com centenas de trilha de bicicleta. 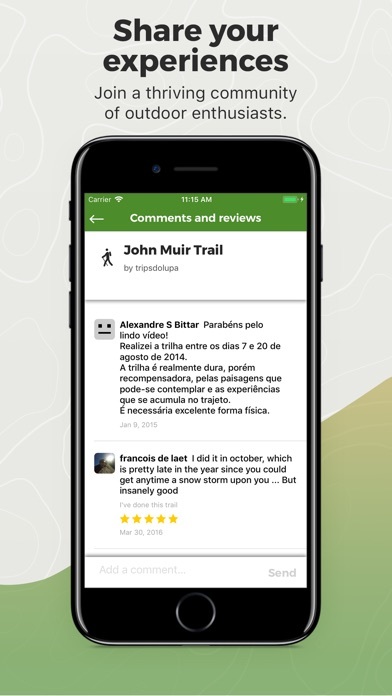 Uma grande vantagem desse aplicativo é que as trilhas são separados por tipo exemplo jipe bicicleta, caminhada....O que é muito bom para quem quer explorar coisas novas. It’s very hard to use and not user friendly. It’s basically a GPS tracker. Web version is so much better. Will give better review when app improves. 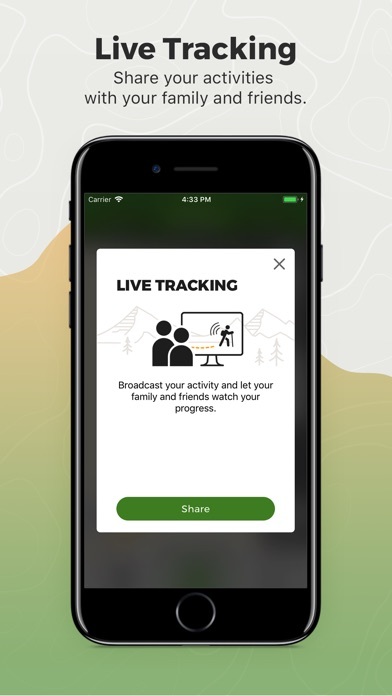 Great app and just getting started !! It is perfect so you yo will not deviate from your course. Very reliable in unknown routes !! You feel safe following the marked routes. Just not accustomed yet to the easy, intermediate And difficult route qualification. It is under every user point of view. So must be careful and review the route carefully. Worth the value !!!!! 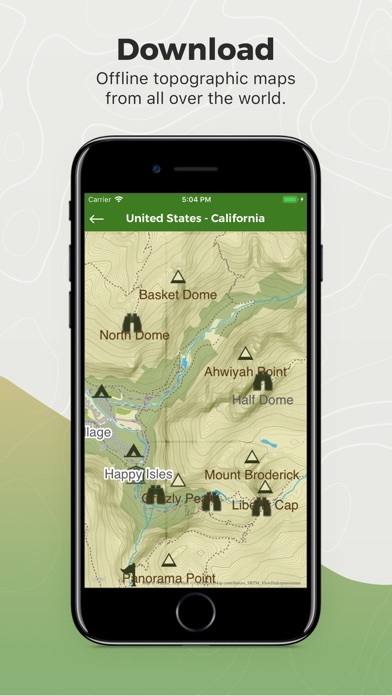 Best hiking and mountainbike trail app! Have used it since almost the beginning and love it. Company is based in one of the most beautiful places of the world (Visca Catalunya!) where I spent many years, and everywhere I go I use it to find trails. Great app - the best!! I love this app! 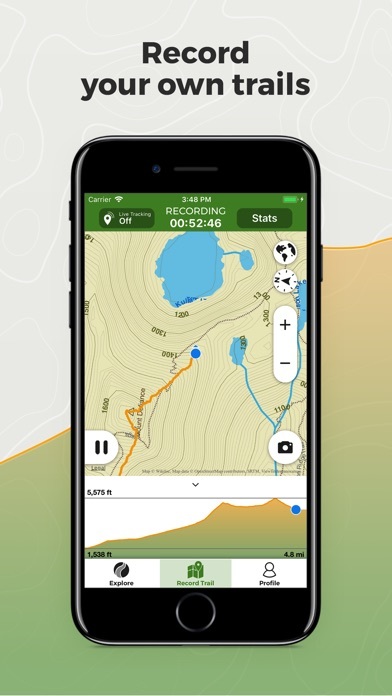 It shows you trails and let’s you record your route at the same time. 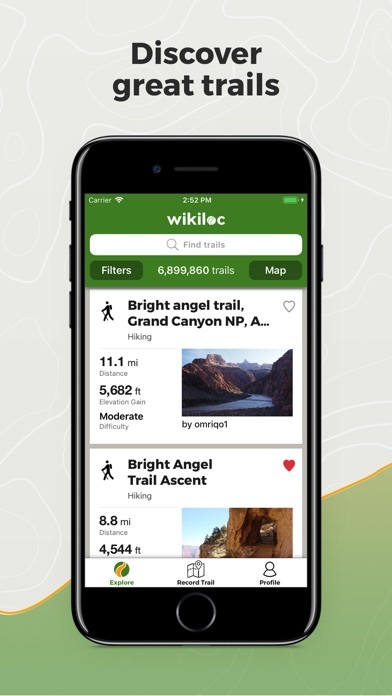 I had never found a good trail app so far This one is really the best It has everything I was looking for !!!!! 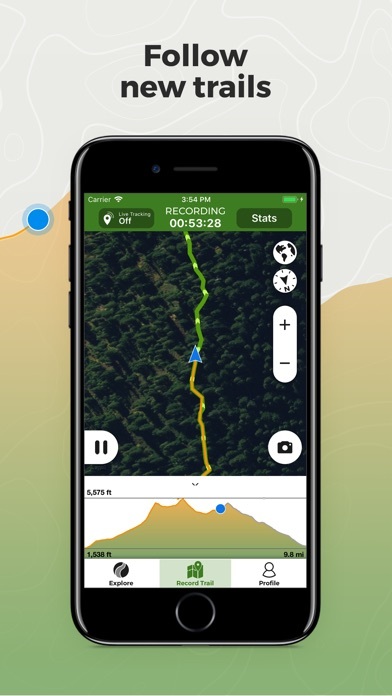 Stats are amazing Recording works very nicely The walking is easy even in different to find narrow bushy trails I just finished 3 trails and I love it ! !